You can type title in the Label field. You can choose to show these fields as dropdown from settings. The dropdown shows all Countries we have listed in code – and that show also in General Settings – Add Property pages. 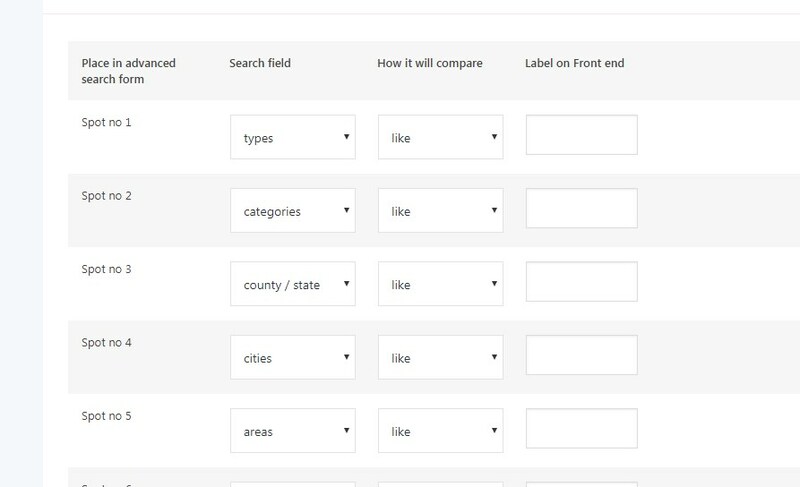 Dropdown custom field type must have LIKE for compare. 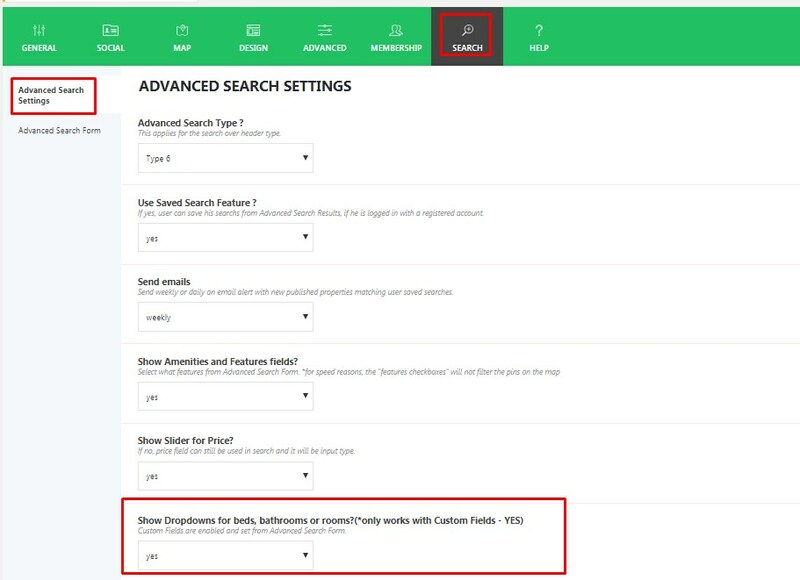 These fields are added first in Theme Options – Listing Custom Fields. TEXT custom field type must have LIKE for compare. 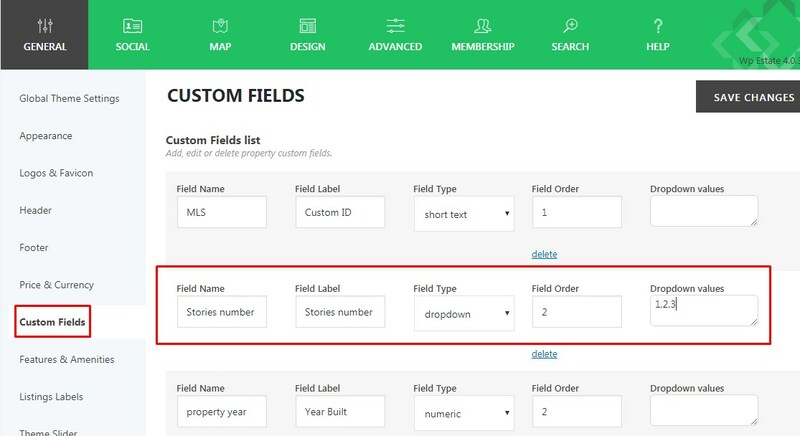 These fields are added first in Theme Options – Listing Custom Fields. See the chapter for this topic separately. In front end the field is input type. 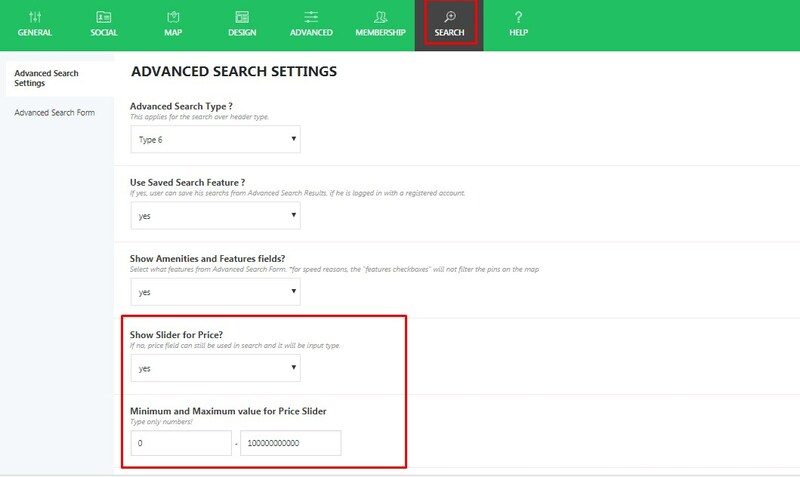 Users must type numbers to get accurate results. In front end the field will be input type.